As Malcolm Turnbull limps into the second week of a tumultuous parliamentary sitting, his leadership is under threat whether he believes it or not. Fairfax’s latest Ipsos poll, showing both the Coalition’s and Turnbull’s support collapsing, makes sure of that. Turnbull’s handling of the National Energy Guarantee is a fiasco. It is perfectly conceivable that Turnbull’s leadership could be on the line very soon, either in the party room or on the floor of the House of Representatives when former PM Tony Abbott and the other the NEG rebels have the chance to park their bums where their mouths are. So, while Peter Dutton is being touted as the likely challenger, it’s fair to ask whether an Abbott restoration has any real legs. For better or worse Abbott is a known quantity and still the Liberal base’s favourite, while Dutton remains an enigma as a potential leader. Don’t doubt that Abbott would take it if it comes. He would be just like Marshal Petain in France’s darkest hour in June 1940: when the French government collapsed suddenly, the newly-recalled Petain was asked by his president to form a government, and instantly took a piece of paper out of his pocket listing his ministry. It was always there, just in case. However, to make a viable return and overtake Dutton is not simply a matter of Abbott proclaiming his availability. It requires Abbott satisfying, simultaneously, three preconditions. One or two of the three won’t cut it: it must be all three or no dice. Obviously, without enough of Abbott’s parliamentary colleagues onside all else is pointless. Dutton for one once would have deferred to Abbott, but not now. Abbott is far more popular in the grassroots Liberal party than he is in the party room, and as a communicator and campaigner, he stands above Dutton. But his too-regular eruptions and disruptions since the 2016 election have annoyed and frustrated the life out of many Liberal MPs, including too many who backed him against the Turnbull coup in September 2015. If Turnbull doesn’t create a vacancy by resigning, Abbott must win back a majority of MPs and Senators in a short time. It may be that more than a few might be prepared to do it, if pressured by the party’s cash-strapped organisational wing and grassroots members and supporters, but has he mended enough burned bridges to be in contention? And if he did return to the leadership, Abbott’s must be an administration of malice towards none and charity for all. The inevitable post-restoration restructuring of the government must not be about promoting favourites and settling scores or applying Trump-like loyalty tests to MPs, organisational leaders and staffers. It must be about ensuring the best team available being on the paddock to beat back and hopefully destroy Labor. Abbott has been canny in championing grievances against Turnbull and his government. On energy policy, he cuts through by diagnosing the real political problem: Turnbull is more concerned about appeasing the luvvie left on emissions than listening to the wider electorate about reducing power price pain. Politically, the NEG is Malcolm’s Munich. But Abbott needs more. He needs a ready, full, worked-up and pragmatic centre-right policy manifesto – on the economy and budget repair, smaller government (not his trademark big government, let’s build publicly-owned power stations conservatism reminiscent more of the 1950s than today), taxation, education, health, welfare, population policy and the full range of areas where Turnbull’s soft-leftism has angered and deserted his party’s centre-right home. If, especially, Turnbull doesn’t beat him to it, he promises to not proceed any further with Turnbull’s company tax package, Abbott can reassure the voting public not yet locked on to Shorten and Labor that the Coalition got the blunt message of Super Saturday, especially from the voters of Longman. He also will assure nervous marginal seat MPs that a campaigning albatross would be taken around their necks. Unlike Marshal Petain, Abbott, therefore, needs to pull more than just a list of ministers from his pocket. He needs to pull out a manifesto of sensible centre-right policies that he can sell to voters with so few months remaining, just as Paul Keating had the elements of his One Nation policy package ready to go when he rolled Bob Hawke in December 1991. More than that, however, Abbott needs to commit to pursuing and implementing whatever he advocates. He can’t afford to back away, put things in the too-hard basket, or even give a hint of his saying one thing to regain the leadership and then failing to follow through, as he did with the repeal of section 18C of the Racial Discrimination Act after his 2013 election. That in government he walked back from much of what he promised in Opposition was one reason he found himself in the cold. In short, Abbott needs to be prepared to risk electoral defeat by standing for something more than being in office. That is where he does have real courage and can deliver. Which goes to the next and most fundamental point. Since his 2015 ejection by Turnbull, Abbott has not really done his public penance. He understandably seethes about his treatment, and clearly is frustrated he can’t rescue the government from its self-dug hole. To the voting public and unconvinced MPs, however, he is still too much like Talleyrand’s French Bourbon kings: learning nothing and forgetting nothing from the scarifying 2015 experiences of the empty chair challenge in February and the real one in September. Even if he gains party room support — and has a manifesto for the sensible centre-right to rally around – Abbott needs to make a public mea culpa. He needs to acknowledge he and his administration made mistakes and miscalculations. He needs to prove he has the self-awareness and humility not only to acknowledge this but demonstrate that he has learned from his adversity to be a better leader. If Abbott wants a role model, he can look no further than Sir Robert Menzies. After he lost his own leadership in 1941, Menzies went through a long, dark night of the soul before he returned to found and lead the Liberal party in 1944. Simply by his longevity when he returned to the prime ministership, Menzies demonstrated he learned from his previous leadership experience and mistakes, especially in how he treated his colleagues. 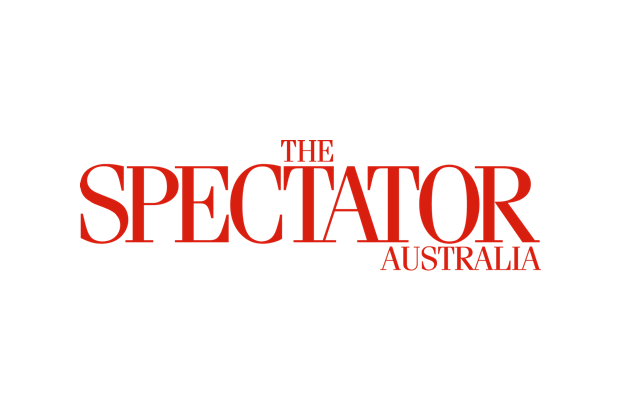 To be restored Abbott must prove his leadership will be more open, collegiate and trusting than the first time around and, above all, ensures his office does likewise and does not act as his gatekeeper and enforcer. If there is to be a leadership change, Abbott offers more than Dutton as a communicator and campaigner. To come back, however, Abbott must satisfy each of these preconditions by appealing to the better angels of his own nature, putting his party first and giving a jaded Australian electorate a real contest of ideas. But if he does, he could yet prove we doubters and not-quite-believers wrong. Otherwise, the best Abbott can hope for is being included in a Dutton cabinet, or remaining on the backbench under a doomed Turnbull. Terry Barnes was senior adviser to Tony Abbott in the Howard government from 2003 to 2007.